SQLScout 3.1.0 Released | IDEScout, Inc.
We are proud to announce SQLScout 3.1.0! This version includes integration with Android Studio’s Device File Explorer, improved offline Android database connections, and bug fixes. 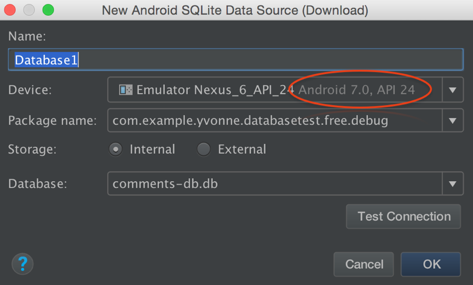 In previous SQLScout versions, it was possible to connect to databases in Android 7 or later only through the “Live Connection” feature. Now you can download any Android database for offline use. 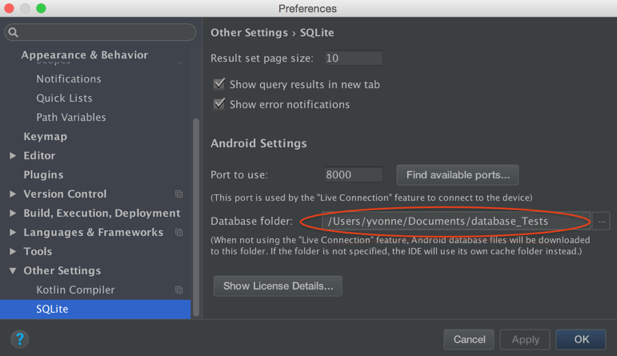 In previous SQLScout versions, Android databases were automatically stored in the IDE’s cache, resulting in corrupt database connections when IDE settings were not migrated when upgrading Android Studio. To avoid this issue, in SQLScout 3.1 you can specify where to store Android database files. Simply go to the SQLite settings in the “Preferences” page and select the folder in the “Database folder” field. SQLScout 3.1 fixes bugs related to database connections and license management.